Artificial intelligence company Verdigris has just announced the debut of “Einstein,” a next-generation Internet of Things (IoT) smart energy management solution. This latest IoT energy management platform from Verdigris is designed to be “the easiest most-scalable connected sensor for complex enterprise facilities.” Using innovative smart sensor and metering technology, Einstein’s continuous stream of energy data is driving smarter, more responsive commercial building operations. Einstein transforms mission-critical facilities into “living environments,” though the use of Verdigris’ patented IoT and artificial intelligence (AI) platform. The combination of proprietary software, machine learning, and hardware sensors allows Einstein to “learn” the energy patterns of commercial buildings. Verdigris offers a full suite of applications with its system that building engineers need. These include powerful, comprehensive reporting, such as energy forecasts, maintenance notifications, faulty equipment alerts, and detailed energy usage statistics for every single device or appliance. Combined with Einstein’s powerful reporting, the system provides a comprehensive overview, an “itemized utility bill,” and simple automation tools for every facility. Wirelessly streaming millions of samples per second, Einstein sensors transfer this data to the cloud from the facility’s electrical panel. Next, analyzing these “electrical fingerprints,” Verdigris AI automatically optimizes building controls. It also monitors for future breakdowns, and sends critical notifications to application users about the facility’s energy use. Instantly accessible, Einstein’s predictive analytics and energy consumption data are always available via a mobile app and a web-based dashboard. Progress reports and energy statistics are also sent by email every week. Einstein represents the 5th generation of Verdigris hardware. With many new features and upgrades, Einstein comes with built-in, native 4G Long Term Evolution (LTE) connectivity, and a lightweight but robust industrial design by Matter. An award-winning design studio in San Francisco, CA, Matter’s design architecture offers significant improvements to the time and ease of installation. Einstein “can now instantly deploy an always-on secure network for real-time remote diagnosis of equipment faults and other energy signature anomalies,” reports Verdigris. With enhanced internal diagnostics, the Einstein system features increased edge-processing and storage, as well. This new smart sensor design, Verdigris adds, meets international standards and certifications in the U.S., Europe, Asia, and Latin America. New partnerships with telecommunications companies EE (Everything Everywhere) and Orange are enabling Verdigris to offer 4G LTE connectivity in international locations. Using Verdigris’ high definition data, Juan Bueno of the Orchard Hotel Group was able to solve two major problems in his buildings. With an understaffed engineering team, Bueno needed to increase staff efficiency and improve efforts for measuring and verifying energy efficiency strategies. However, with the deployment of Verdigris AI IoT technology, Bueno found he could delegate tasks and manage his buildings without having to spend so much time walking around. Verdigris showed Bueno the energy use in his buildings, not just floor by floor, but room by room. With granular monitoring, he was now able to confirm the success of his keycard access system. In addition, with the use of before-and-after data, Bueno isolated the performance of a variable frequency drive (VFD) on a cooling tower. In fact, he was to prove the exact return on investment (ROI) of this VFD to the building owners. He was even able to compare his actual ROI with the sales pitch of the VFD vendor. Supporting many international deployments, Verdigris has customers in the U.S., United Kingdom, Brazil, China, and Egypt. Among the many customers of Verdigris are Jabil, Flextronics, JBS, and many major hotel chains, including Hyatt Hotels, Intercontinental Hotels, Marriott, Orchard Hotel Group, and Starwood Hotels. Partnering with NASA’s Sustainability Base, Verdigris will also assist with energy management technologies for future space missions. Verdigris will be researching the Einstein platform’s potential for future habitat design and predictive analytics to reduce equipment failures. Recently deploying Einstein to Honeywell and Megabess Korea, Verdigris adds that Einstein will also be shipping soon to Orange Silicon Valley and Parkview Hotels in France. Across its customer portfolio, Verdigris is likewise planning for broad deployment expansions. 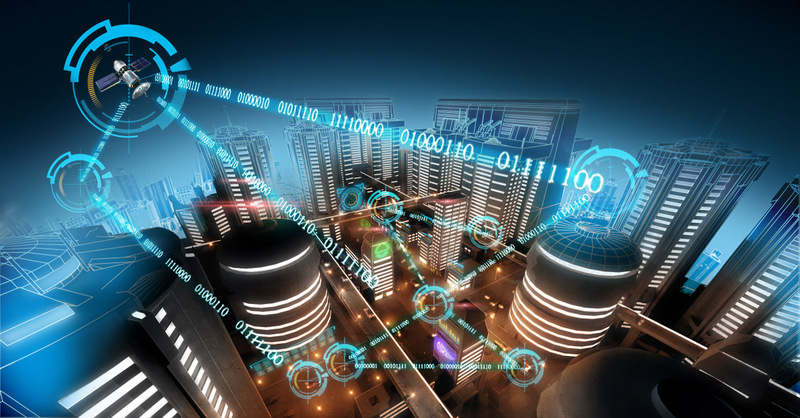 Both an investor in Verdigris and one of its customers, Jabil Circuit is pleased with the new smart building IoT technologies that Verdigris is deploying.